Another country moves to bring its cannabis laws into the 21st century, as Jamaica decriminalises the possession of personal amounts of cannabis - even for tourists. The island nation of Jamaica has always been known for its beautiful sunsets, reggae music, and of course marijuana. Jamaica and cannabis were synonymous long before the days when Bob Marley was just a local up and comer in the music scene. Despite popular assumptions that weed was legal in Jamaica, the truth is that possession caught a hefty penalty and it did for a very long time. That all changed last year when the vacation hot spot opted to decriminalize possession not only for locals but for tourists as well. Jamaican 'Ganja' was first cultivated in the mid eighteen hundreds. Brought back from India, the first seeds grew into what would become a thriving culture that revolved around cannabis. Seeds weren't the only thing that made their way to Jamaica from the other side of the world. A budding religion known as Rastafari spread all the way from Ethiopia. The Rastafarian movement grasped onto marijuana as its sacred herb, using it as a tool of spiritual cleansing. Despite its widespread acceptance, cannabis was made illegal in 1913. This prohibition was meant to target lower class blacks, the Rastafarians in particular. The push to criminalize cannabis came as a result of the Council of Evangelical Churches, who held a great amount of power in Jamaica at the time. The law was an obvious tool of oppression; one that would hold until February of 2015. The Jamaican House of Representatives amended the Dangerous Drugs Act, which now allows for the possession of up to two ounces of marijuana in public and the cultivation of up to five plants at your home. So if you are stopped on the street, up to 56 grams is the legal amount you can have in your pocket. You'll still catch a five dollar fine, because it is technically only 'decriminalized,' but that is a small price to pay to be able to enjoy yourself on holiday. Any more than two ounces and you'll catch hefty fines and a criminal trafficking charge. I can think of better ways to vacation rather than spending my nights in a Jamaican jail. Two ounces should be more than enough to keep you elevated throughout your stay. If you have a medical prescription card from another country, Jamaica will issue you a registration that allows you to purchase two ounces of locally grown weed. One of the goals of the government is to establish a large scale medical cannabis program they can implement to ensure that patients have access to marijuana grown in clean facilities governed by regulation. Besides medical use, the new law also allows the use of cannabis for religious use and research. Opening up Jamaican cannabis to research could put them years ahead of the rest of the world, as many places, like the United States, still only allow very limited research studies. In the past, Jamaican cops typically looked the other way when it came to tourists and weed. As a poor nation, Jamaica depended on the revenue from tourism to keep the lights on. Arresting tourists is a quick way to ensure they go somewhere else next year. The new law not only removes any concerns weary tourists may have, it opens the door to a green future for Jamaica, positioning it to become one of the world's leading cannabis tourism hot spots. There is one thing that even anti-legalization advocates can't deny; legal cannabis generates a lot of money. 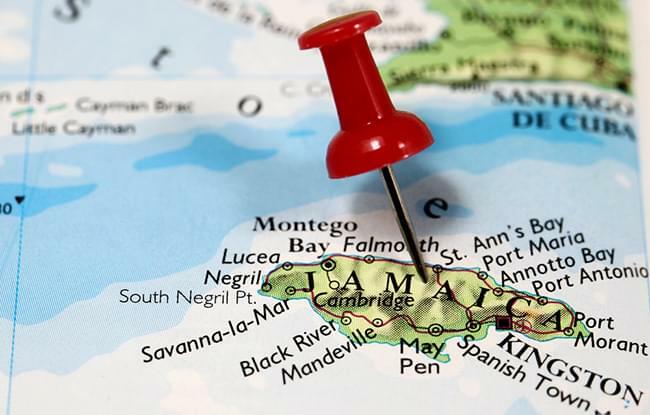 Jamaica has been an impoverished nation for much of its existence. 20% of all Jamaicans live at incomes below the poverty line and unemployment lies at around 12 %. Jamaica faces a national debt crisis and high interest rates, forcing them to look for solutions. Cannabis is a natural solution. Having been culturally accepted in Jamaica for over one hundred and fifty years, the government recognized that the answer to their financial problems was right under their nose, literally. It is hard to look at other nations legalizing and not want to reap the same benefits. States like Colorado in the US have demonstrated that marijuana can be regulated and taxed with incredible results. Last year Colorado sold over $1 billion worth of marijuana and generated over $125 million in tax revenue. This money went to fund schools and drug awareness programs. They generated so much money that they had initially planned to refund some of it to tax payers. Jamaica will do the same thing. With cannabis comes an explosion of new jobs and other industries that service marijuana businesses. So if you've ever wanted to visit the beautiful island nation of Jamaica, there has never been a better time. Jamaica's new law paves the way for a booming marijuana tourism industry that due to its tropical location, might go unmatched. The decision to legalize was the right one and it will usher in a new era for the Jamaican people and cannabis fanatics alike.